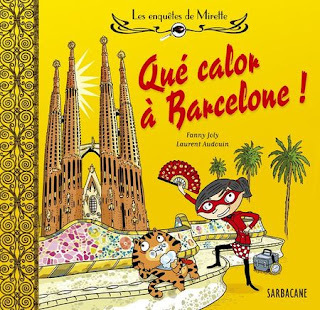 For those readers who are passionate with Mirette's adventures (Mirette is the young detective matched by her faithful Catssistant Jean-Pat), there is a nice new: in about ten days a new episode of the series Les Enquêtes de Mirette, is going to appear in bookshops and it's located in... Barcelona! 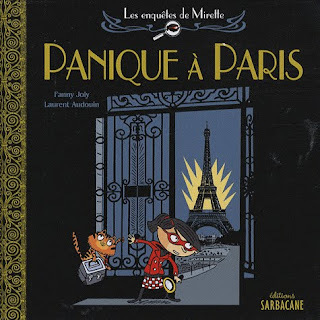 I must confess I'm wondering what Fanny Joly and Laurent Audouin brilliant minds might have invented this time. What I know for sure is that we won't get bored, by the way it would be impossible with the pressing rhythms that the adventures of Mirette and her detecticat Jean-Pat's always have: amid a Choumoullouws (feline marsh-mellow) and another, driven through more or less mysterious places thanks to the fantastic Super Zécran Tactile (an indispensable tool for any good detective), Mirette and Jean-Pat inevitably involve us and let us discover some of the most famous cities in the world. Now, for the love of my country, I am wondering when and if our two inseparable friends will land in Rome for a new adventure! We might learn more about this by reading the very interesting blog by Laurent Audouin where, together with a few previews on the series new projects, we might find some very interesting information about the artistic creation, on how images and settings are imagined, on the use of old objects to make the scenario more credible and much more. While we wait until the new book is available in bookshops, we can always refresh our memories by reading the first two episodes. 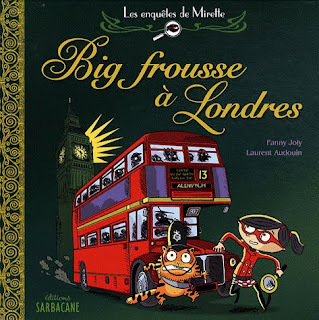 Images were reproduced with the permission of Sarbacane Publishing House.